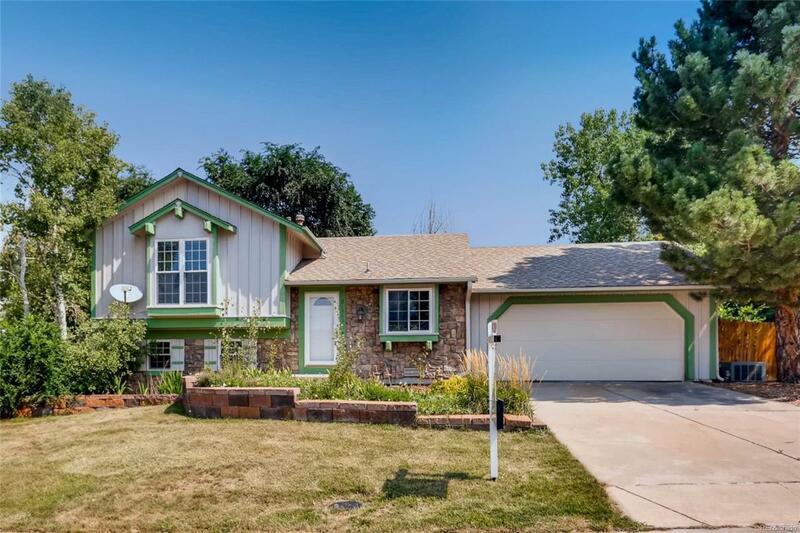 Cozy 1400 square foot 2 bed, 2 bath home for sale in Centennial. Cherry Creek Schools, short drive to the Cherry Creek State Park. The house sits on a quiet residential street with a beautifully landscaped front yard, Hot tub, deck and built in stainless steel barbecue in the rear. Sprinkler system and 2 car garage with automatic opener. Light and airy inside with lots of space and inlaid hardwood floors. 2 bedrooms and a bathroom upstairs, large living room and additional bedroom downstairs with sunken family room and fireplace. Includes newer washer dryer combo. Great location and lots of outdoor living space to enjoy the fantastic Colorado summer.